Violations against children cease to discontinue in war-torn Yemen. Credit: Rebecca Murray/IPS. ROME, Sep 2 2016 (IPS) - In Yemen, conflict, violence, and bloodshed are now a daily occurrence. In spite of ongoing human rights violations global media outlets have chosen to take a back seat and remain silent. Why has the grave severity of Yemen’s rising conflict been kept in the shadows rather than exposed as a recurrent headline? Is the dark veil drawn over Yemen’s struggle in the face of violent extremist groups a strategic manoeuvring on the West’s part? Does the Occidental world play a hidden role in this conflict? Would international superpowers much rather skim over the truth and dismiss the sheer horror of bombings and casualties as a means of protecting their own “favourable” global position? The sheer gravity of Yemen’s conflict should subsequently ignite a deafening global cry for justice, however, as long as the public are “strategically” kept in the dark, little change can realistically be implemented. by Saudi Arabia in March 2015. Destructive bombing worsened by perilous ground fighting have taken a devastating toll on the civilian population. Particularly in the case of Yemen’s vulnerable children who are continuously subjected to life-threatening human rights violations. Impoverished families have enlisted their children with Houthi or pro-government forces in exchange for the equivalent of 7-15 USD per day. The outcomes of ruthless warfare have proved detrimental to the future educational, economic and societal development of Yemen. More than 6,500 people have died and 2.5 million have been displaced. 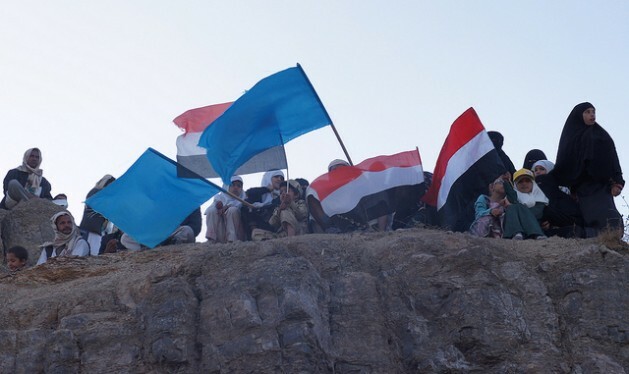 As one of the world’s poorest countries well before the conflict ensued, Yemen now not only faces the setbacks of poverty-stricken deprivation but the fearful strife of bloodshed too. The New York Times has stated that the US has actually been complicit in the carnage of Yemen, having sold over USD 20 billion in weapons over the course of 2015. Since the beginning of Yemen’s downfall, the United Kingdom has not acted as the innocent bystander it wishes to portray to the public eye, with the sale of close to USD 4 billion worth of weapons to Saudi Arabia. UNICEF has verified that more than 900 children were killed and 1,300 injured in 2015 alone, with a rate of 6 children killed or maimed every day since the escalation of hostilities in March 2015. What’s more, Houthi forces, pro-government forces, and extremist groups continue to engage in the recruitment of child soldiers, who are estimated to make up one-third of the fighters in Yemen. The UN documented up to 850 cases of child recruitment in 2015, a five-fold increase over 2014. These armed parties have also detained children who upheld suspected loyalty to enemy forces. They relentlessly abuse their child prisoners and subject them to inhumane conditions whilst in captivity. According to Human Rights Watch, of the 140 detained by southern armed groups, 25 of the victims were children under the age of 15. For those who fear the threat of violence or captivity, a clear alternative shines through the enticing employment prospects of fighting for Houthi Forces. Many young boys are lured in by the promise of safety, security and most significantly, economic prosperity. Economic hardship is, in fact, one of the fundamental pull factors in the process of child soldier recruitment Al Jazeera confirms. A vast number of impoverished families have enlisted their children with Houthi or pro-government forces in exchange for the equivalent of 7-15 USD per day. “There are many families in several provinces that deliberately send their children to fight for the sake of money, after these families lost their source of income at the beginning of the war.”Amal al-Shami, the head of the Sanaa-based Democracy School, a non-profit organisation to raise awareness in human rights and democracy among children, explained to Al Jazeera. Khalil, a former construction worker from Taiz has been unable to find secure employment due to the war. In a state of financial desperation, he urged his 15-year-old son to join the houthi forces. “I am not a supporter of the Houthis, but I sent my eldest son to fight with them. They pay him 9.30 USD daily, and this is enough for us.” he stated. The necessity to join rebel forces is further accentuated by the widespread demolition of schools. alternative than to engage in the warfare. In many ways, Yemen has consequently developed into a new breeding ground for child soldiers. “The conflict has become ingrained and inter-generational. You’re seeing the cycle continue. Children are being killed because they are being seen as future fighters. Kids are being brought up to hate.” Anthony Nolan, a UNICEF child protection specialist emphasised. UNICEF has released a report stating that children as young as 14 are currently fighting on the front line in Yemen. Both the Houthis and the government have gone back on anti-violence pledges they have made to end their merciless recruitment of children. Western media outlets can no longer stand by in idle silence and keep the world ignorant of the devastation occurring in Yemen. As the lives of thousands are lost including those of vulnerable children, it is time to draw global attention to their plight. In spite of ongoing UN-backed peace talks and half of all prisoners released by pro-government and opposing Houthi forces in early June 2016, more action needs be taken, particularly in the case of child soldiers. The parties to the conflict in Yemen should be placed under international pressure to release captured children and stick by their commitments to not re-enlist child soldiers. restore peace in their war-torn nation.